Is Club Mobay Worth It? A year ago, Club Mobay opened at Sangster International Airport in Montego Bay, Jamaica. Since it's opening we've had many clients ask our agents if it's worth purchasing the VIP package. Unfortunately, it took me a full year to get down to Jamaica and try it out for myself, but I promised that as soon as I did, I would report back to my clients and social media followers to let them know the answers to their questions. 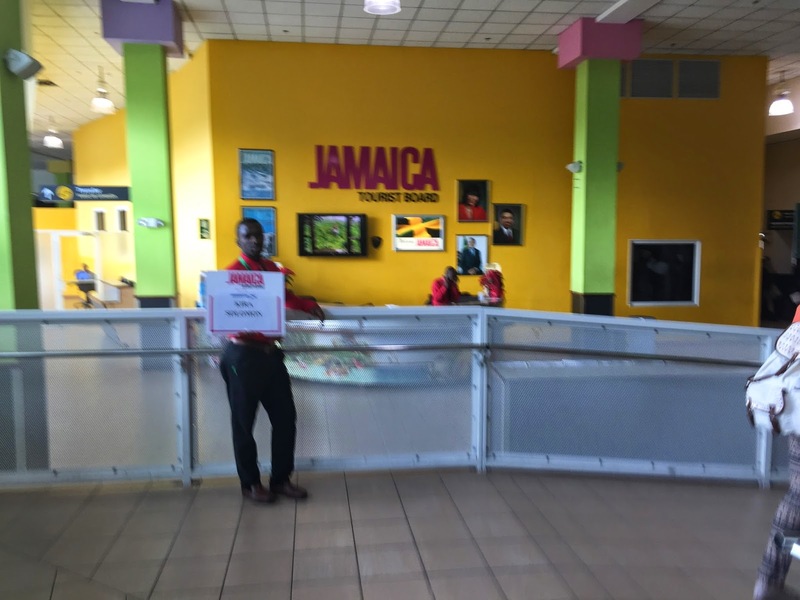 Airport Arrival: After getting off the plane you will see several signs for "Club Mobay Meet Up" spots, but generally the Club MoBay team is standing right down the hall from where your gate it. Once you find the person holding the sign with your name on it, you follow them to the Immigration line. The rep with the sign will check your paperwork as you walk. To make it easier, make sure you fill your Immigration form out on the plane before landing, but if you have any questions, they can assist. They will make sure there are no errors or missing information. When we arrived on a Sunday afternoon, the lines were long. Our rep walked us to an empty line and right to the front and then as "Next" was being called, he ushered us in to the next available agent, pretty much cutting us in front of the entire line. I'm not going to lie, it felt uncomfortable to cut everyone, and the glares we received didn't help. But we were through Immigration in under five minutes, tops. From there we skipped the baggage carousel, because we didn't check anything (click here for more tips on how to simplify your travel experience to Jamaica). So we made our way directly to the long customs line. Again, our rep squeezed through the line making a path for us until we stood at the very front of the line. I felt the death stares of the other travelers burning into our backs as we stood there waiting for the next agent to be available. Two minutes later we were whisked away outside to our resort's airport lounge, where our rep then went about finding our private transfer. The lounge was a madhouse. 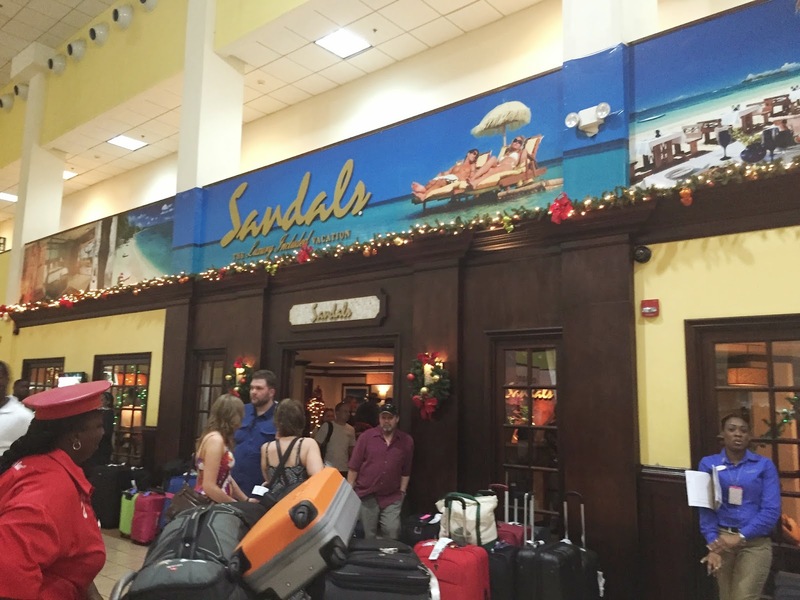 It was Sunday afternoon, a large group was arriving around the same time, plus there were guests from seven of the Sandals Resorts all waiting for their transfers. 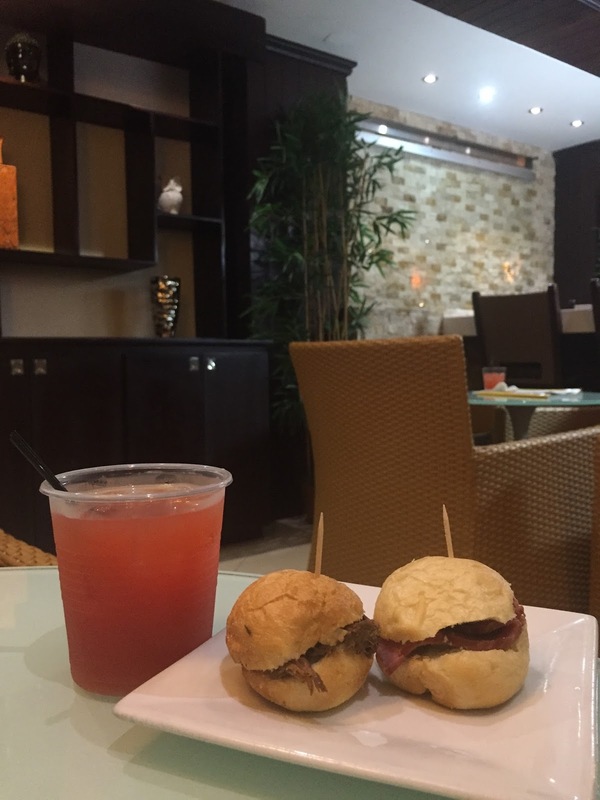 For those who booked the Club Mobay full package, there is a Club Mobay arrival lounge right next to the Sandals lounge, which you would be able to take advantage of. It wasn't full at all and was a lovely alternative. 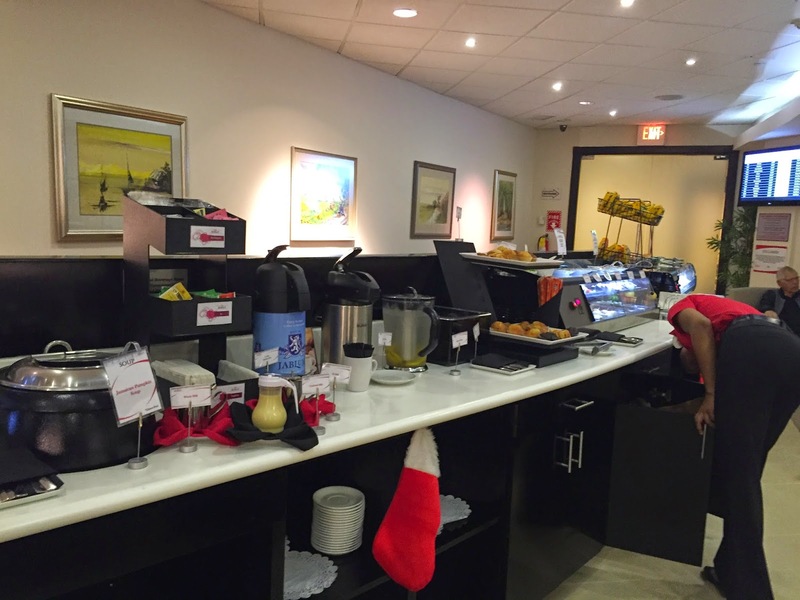 There were snacks and drinks available as well as TV, comfortable chairs and clean restroom facilities too. But because we had the private transfers, we didn't stick around the lounge for very long. A new rep then led us out to the sedan waiting for us in the parking log. He pulled our bags for us and even put them into the trunk while our driver helped us into the back seat. You can read more about the awesome experience we had with our private transfers by clicking here. All in all, we breezed through the airport in record time! Should You Purchase The Club MoBay VIP Arrival Package? *Getting in at a busy time and don't want to wait in long lines. *Traveling with children who may have a hard time waiting. *Having fears or issues with being in crowds. *Having issues with standing for long periods of time. *Traveling in a large group. *Just wanting to be treated like a VIP. Airport Departure: It was upon our arrival back to the airport that we found even more value in the Club Mobay package. Our return ticket granted us access to a special line for security, allowing us to fast track through and to our gate quickly. It also gave us access to the Club Mobay VIP Departure Lounge. When we walked in, we were greeted with smiling faces. The hostess checked our tickets and then escorted us to a smaller, quieter lounge, since the larger one was for families and we were not traveling with children. I did get to peek into the family lounge (not pictured) and there was a large lounge with chairs, couches, and televisions, plus on the side was a room with glass walls where the children were playing. I thought that was a great idea so parents could watch their kids but the noise level wasn't too loud. We found seats and got settled. Let me tell you, those chairs are way more comfortable than any chairs I've sat in at the airports I've been to. So for me, this made it worth the money. Immediately a waitress came to take our drink order from the bar, and returned promptly with the order. If we wanted to, we could have watched TV, but instead we connected to the wifi and then grabbed some snacks from the buffet table. Now on the Club Mobay write up, they are described as snacks. There was more than just "snacks" though. There were little finger sandwiches, sushi rolls, bags of chips, fruit, soup, muffins, cookies, etc. The food wasn't the best I've eaten, but they were much better than the alternatives of fast food options in the main terminal. Besides, there was something for everyone and more than enough to tide us over until we got back home later that night. My husband got settled with our things and I took a walk around to explore. One of the thing I did want to share was a photo of how nice and clean the bathrooms were. 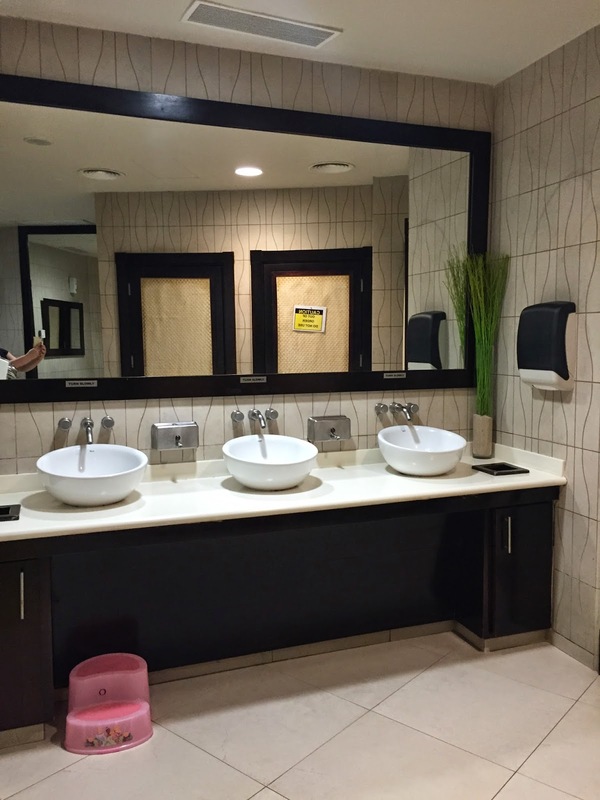 The bathrooms in the airport at Montego Bay aren't awful, but they aren't as nice as the bathrooms in Club Mobay, so that may be important to some travelers. There was also a bathroom attendant who kept everything tidy. As I left the bathroom I noticed a small spa room. It was called a "mini spa" and they offered chair massages, pedicures and manicures, and more. By the time we enjoyed our "snacks" and drinks and relaxed for a little bit, we were ready to board our flight. 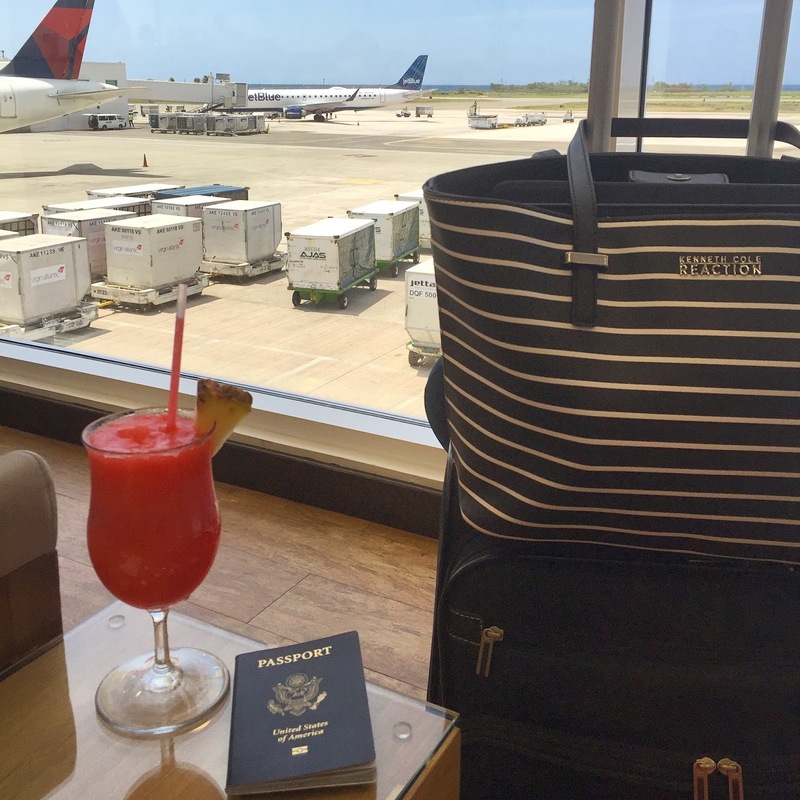 That's one of the great things about Club Mobay-- they make announcements for travelers when boarding begins, so you have enough time to make it to your gate. UPDATE (April 2016): Club MoBay has now opened up their new "Sky Lounge" which is on the main terminal floor and offers awesome views of the runway through floor to ceiling glass windows. We were lucky to try it out on our last trip to Jamaica. One of the only downsides to Club MoBay before was having to go down into what felt like the basement of the airport. This was a much better option. I loved being able to eat lunch, have a drink and watch the planes land and take off. Should you purchase the Club MoBay VIP departure package? *Not wanting to pay for airport food and drinks. *Traveling with children who may have a hard time sitting at a gate with nothing to do. *Wanting clean and uncrowded restroom facilities. *Wanting to be able to access free wifi. *Needing more comfortable seating than the normal airport chairs provide. *Wanting a relaxing, stress free environment to wait in. Save Money, Purchase The Club MoBay VIP Bundle Package. All in all, I highly recommend the full bundle package for arrivals and departures! Contact me and I'd be happy to provide you pricing and help you book! Or, visit our the Club MoBay website direct by clicking here. Are The Private Transfers In Jamaica Worth It?